The Institute for Building Climatology at Dresden University of Technology (Faculty of Architecture) investigates the theoretical basis of combined heat, moisture, air, and salt transport in building materials, and also investigates other areas of building science. An important goal of our research work is the dissemination of new knowledge to other research institutes and practitioners. Therefore, we continuously integrate new findings in our user-friendly software and calculation tools. Our software programs shall help other research institutes in their work, assist students in learning fundamentals of builing physics, and support the work of civil engineers, architects, and others working in this field. The longterm experience in the area of combined heat, moisture, and salt transport processes also benefits expertises and research reports, whereby we use our own software and continously improve and optimize the programs. There is a new DELPHIN 6 version available (6.0.20) for download with many improvements and bug fixes (details are in the ChangeLog on the download page). The download page was improved to show supported application languages. 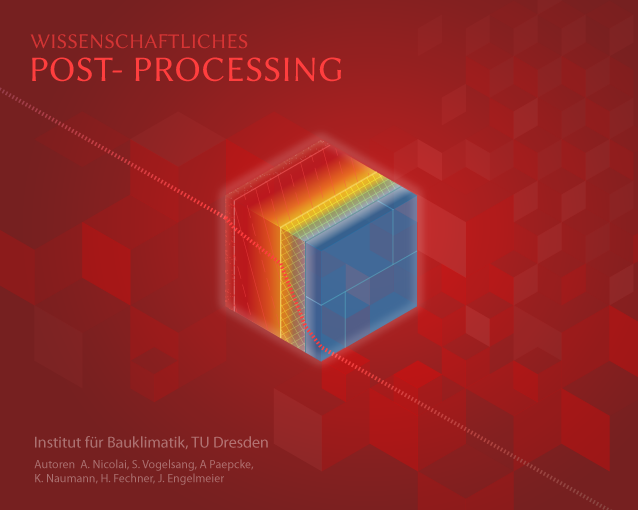 A first version of the new IBK PostProzessing is available for download. New revision according current german standard DIN 4108-3 from 2018. Now calulation according german standard DIN 4108-2 for thermal room climate simulations possible. Input and results can be printed in a report. New software versions are available on the download page (see changelog for details). THERAKLES will continue to be free of charge for version 3.1.8, subsequent versions require licensing. Also, all MacOS software versions were updated (compatibility to 10.7 retained). Show sd-values of selected materials. Button for edit project information added. Additional message in report in case of additional drying potential and no condensation. The version 5.9.3 contains many changes compared to the old version. Details about the validation setup and results can be found in the validation/benchmarks section. New software versions of THERAKLES and the CCM-Editor are available (see changelog for details). Bugfix for using of non capillary materials. New Qt library (version 5). Check for writing permission in user database. A new software version of THERAKLES is available (see changelog for details). The THERAKLES and NANDRAD webpages have been updated and are currently being extended with new content. For both simulation programs new versions are available. Change of path for user material database now possible. Update material database. COND starts with empty project. Contains small bug fixes and new climate default for new projects (DIN 4108-2 2014). The latest update for the Windows version of COND contains only minor changes: A fix for changing of condensation and evaporation time and a further update of the material database. The newest version of COND 2.1.4 contains the following changes: The assesment of the construction can be done according DIN 4108-3 from 2001, DIN 4108-3 from 2014 or user defined (boundary conditions and time). It is possible to set a drying reserve according DIN 68800-2. The limit for non capillar conductive material is changed according DIN 4108-3 from 2014 to 0,5kg/m2h0.5. In material list time for production, measurement and/or sampling is added (if known). You can find detailed information on Download-Site in changelog. A new DELPHIN Version is available. The version 5.8.3 contains many changes compared to the old version. The newest version of COND 2.0.8 contains an advanced check in calculation for nonvalid results. It includes as well a new activation mechanism which creates a advanced hardware check for more robust activation checking. The check allows also to work with old activation codes. Some further changes has been implemented for test according DIN 4108-3. The check for 1kg/m2 for normal materials and for 0.5kg/m2 for non capillary materials was interchanged. At least a new import and export of user material database was added (for current version and version 1.9). For more detailled Informationen please read the changelog under Download. A new COND version is available from now. Beside bug fixes in calculation algorithm version 2.0.6 includes improved layout for air layer direction as well as an update of Mac version. A new DELPHIN version is available. In this last version of the 5.6 series, the validation examples were added to the provided example simulation projects. These test cases can be viewed and tested to check compliance of the DELPHIN simulation tool with all currently available validation test cases for hygrothermal simulations. Details about the validation setup and results can be found in the validation/benchmarks section. Soon, the new DELPHIN 5.8 series will be available, with many new features and much enlarged material database. The new, completely renewed COND version is available. COND 2 has a much larger material database, an extended calculation algorithm and more details in the report. A new THERAKLES version with slightly modified user interface and tweaked solver parameters is available. The THERAKLES webpage was updated, the tutorial and manual were uploaded and the new program version 2.0.10 is available for download. A new DELPHIN version is available (Download page), Changelog lists all changes/improvements. This is the last update of the 5.6.x series, before the upcoming new version 5.8. A DELPHIN tutorial was added describing the core functionality of the Post-Processing component (see DELPHIN-Documentation). Note: Under Windows 7 fonts are scaled to 125% by default. This may cause some pages in the Post-Processing to be displayed incorrectly/incomplete. For correct functionality please set the font size option to 100% in the Windows 7 display settings. We have a new DELPHIN version, with fewer bugs and more features, see ChangeLog on Downloads page. The DELPHIN Tutorials have been updated and the tutorial #2 has been added. A new version of the DELPHIN Material Generator tool is available. It allows creation of material files including both vapor and liquid water transport characteristics. It is also the first program version to be distributed as multi-lingual tool. We have a new DELPHIN version, with fewer bugs and more features. The program for fitting parameters of tracer experiments and filter models is now available on the webpage. It is our first cross-platform Qt-based calculation tool. There is now also a german version of DELPHIN available. It can be used alternatively to the english version with the same license keys. Many new features and some bug fixes = new DELPHIN version. A new DELPHIN update with several smaller improvements is available on the download page. A new COND update is available on the download page. With this new version the windows patch for the user32.dll problem is no longer necessary. A new DELPHIN update is available on the download page. A new external solver is included to avoid compatibility issues with modern quad-core processors. Also, with the new version the windows patch for the user32.dll problem is no longer necessary. A new update for the internal DELPHIN post-processing tool is available on the download page. The new Bauklimatik-Dresden Webpage is now online. COND is a software for the hygrothermal evaluation of building envelope constructions, which uses an analytical calculation method that considers the redistribution of internal condensate. 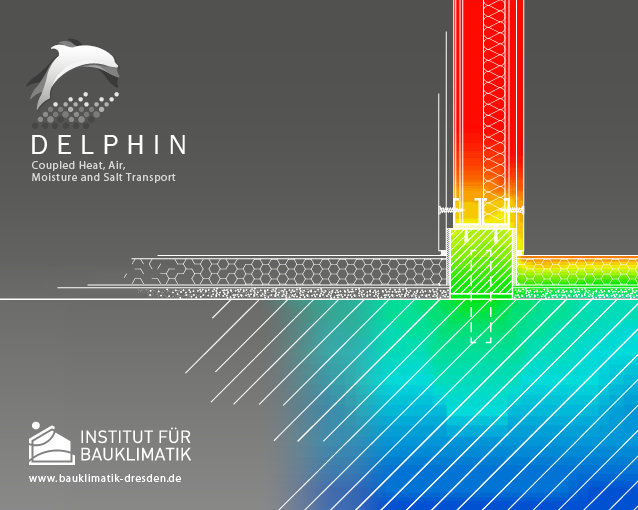 DELPHIN is a comprehensive numerical simulation tool for the combined heat, air, moisture, and matter (e.g. salt) transport in porous building materials. 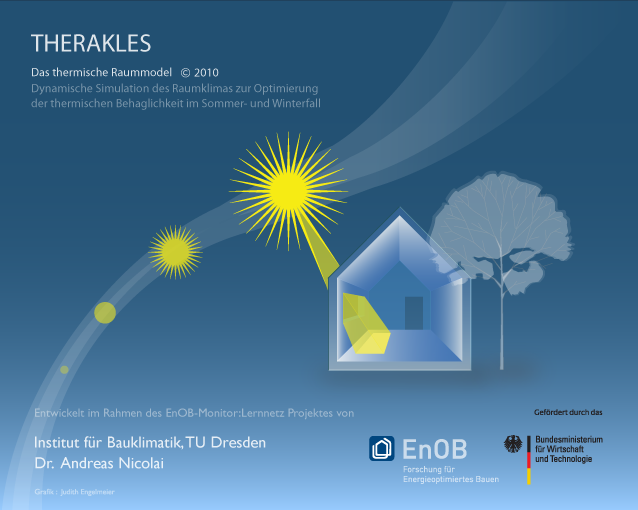 THERAKLES is an easy-to-use simulation tool for predicting thermal comfort in summer and winter, and energy gains and losses for room spaces. It is a physically detailed model and has a powerful numeric solver engine for efficient calculation. 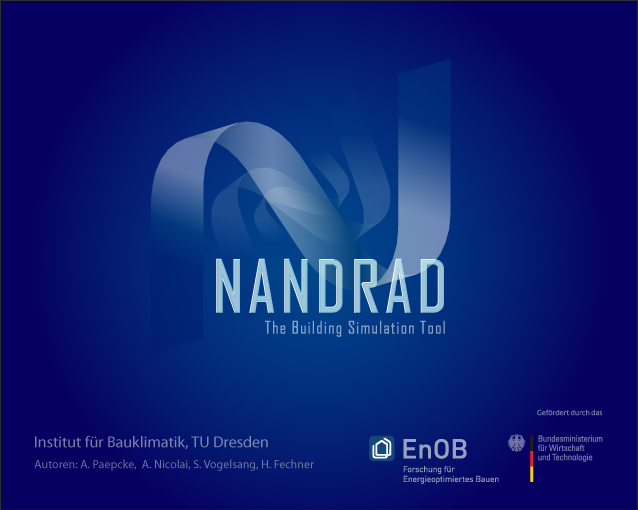 NANDRAD is a compuation kernel for building energy performance simulation (a multi-zone model), specialized on large massive buildings with many zones and detailed construction models (walls, floors, ceilings, ...). 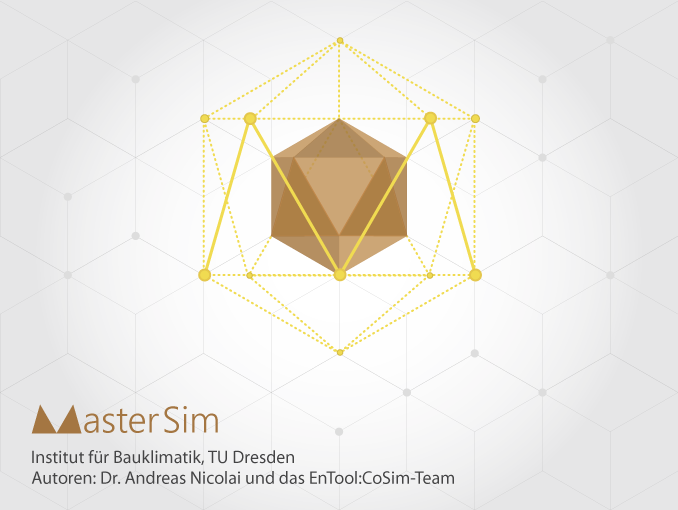 MASTERSIM is a simulation master for coupled simulation of models encapsulated in Functional Mockup Units (FMU), and a program library with FMU import and simulation functionality. POSTPROC 2 is a program for scientific analysis and visualization of simulation results and measurement data. It specializes in the handling of large time-dependent/dynamic data sets (e.g. from DELPHIN). Downloadable content (programs, documentation, tutorials, additional data) can be found on the download webpage (also accessible from the top menu).